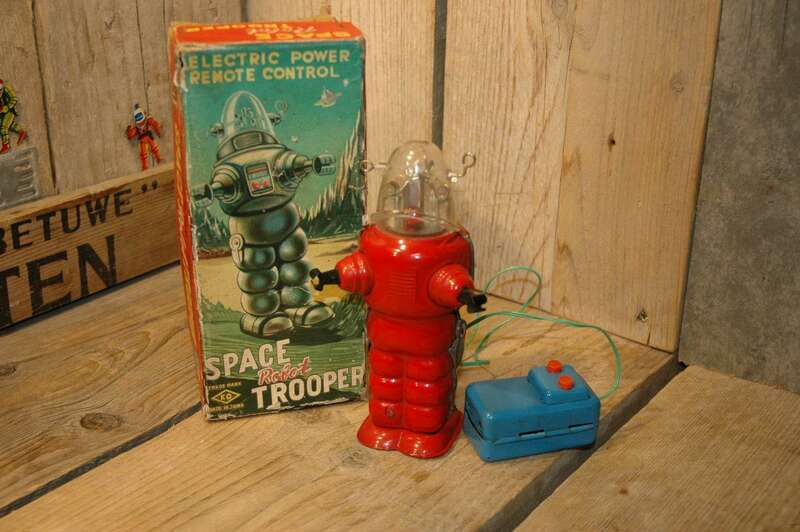 KO Yoshiya – Space Robot Trooper. 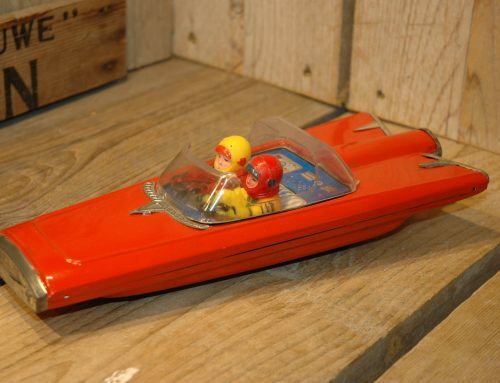 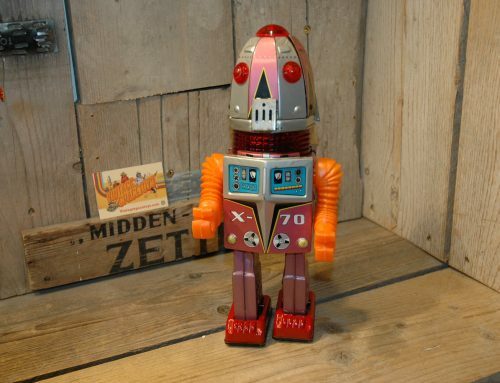 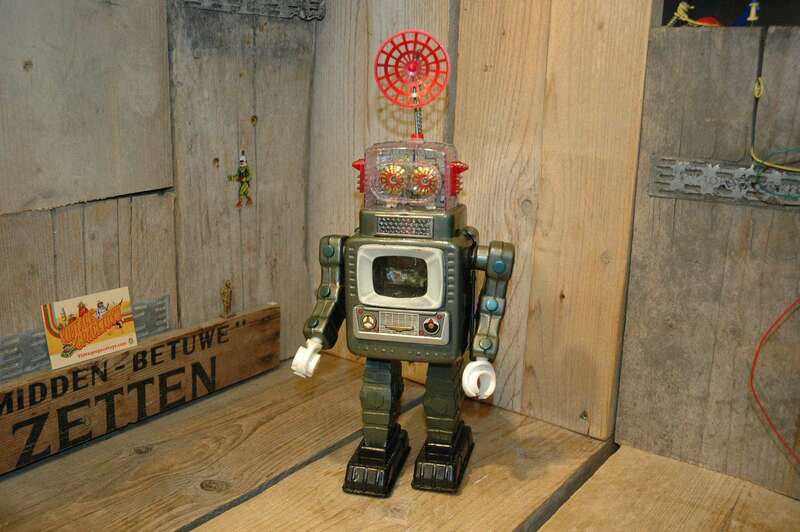 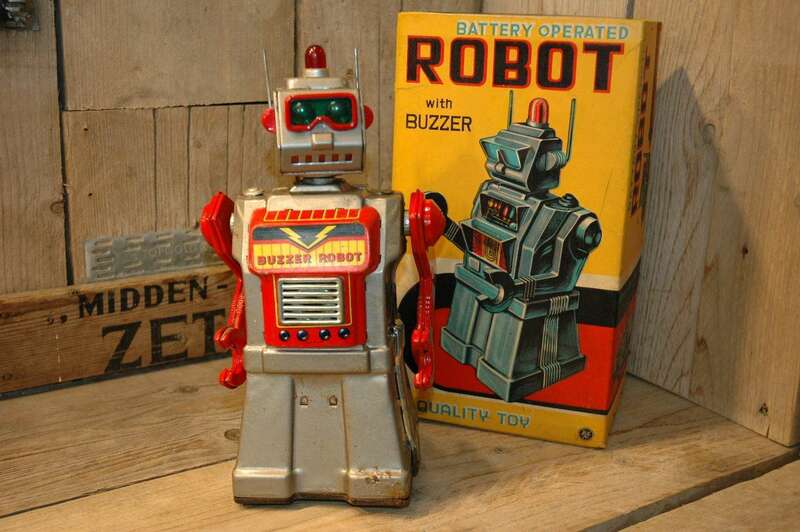 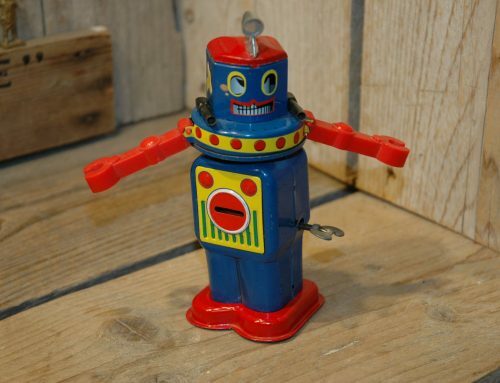 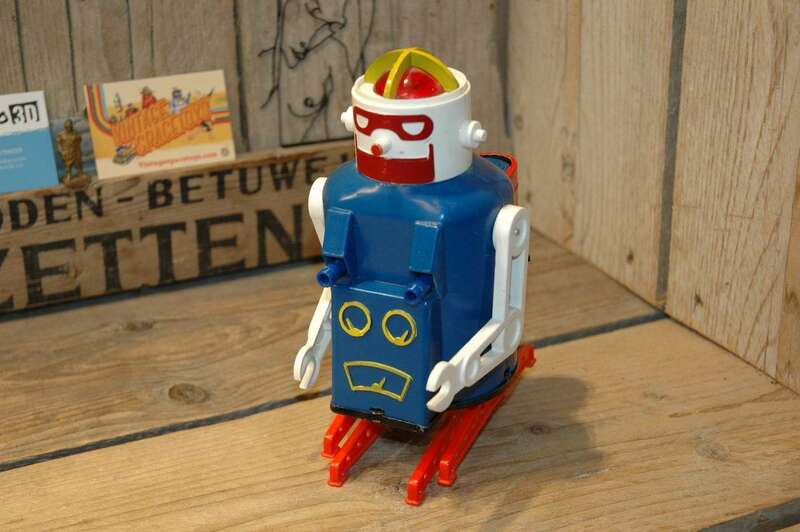 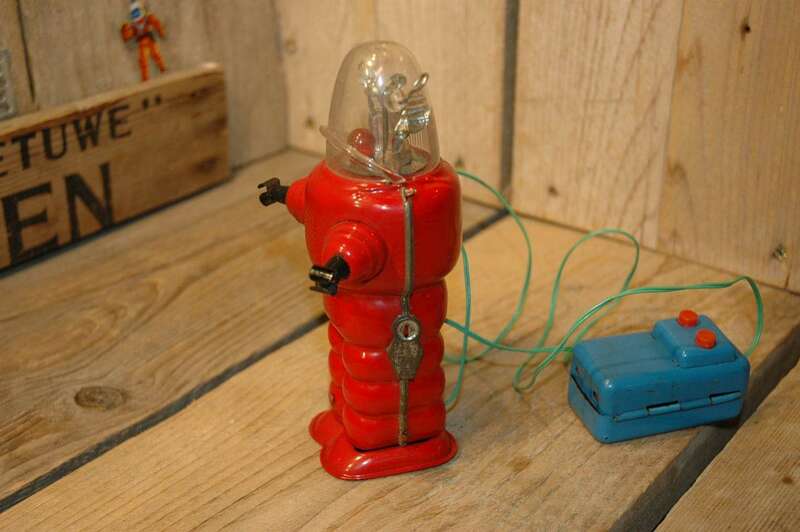 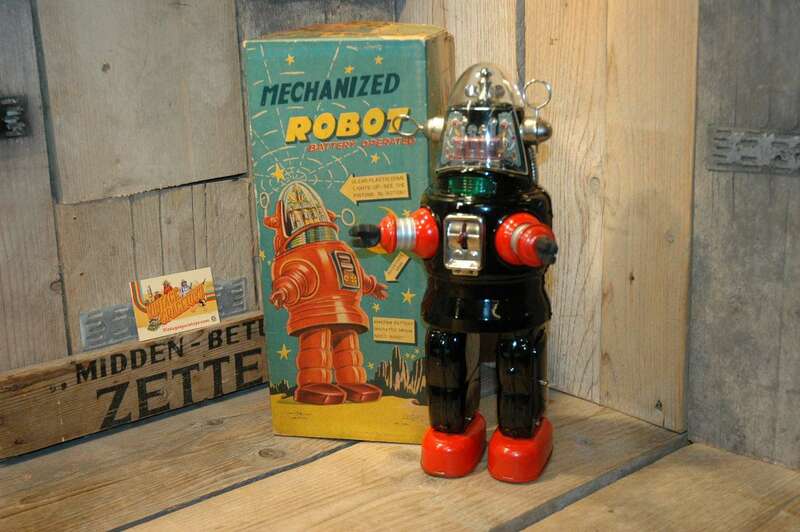 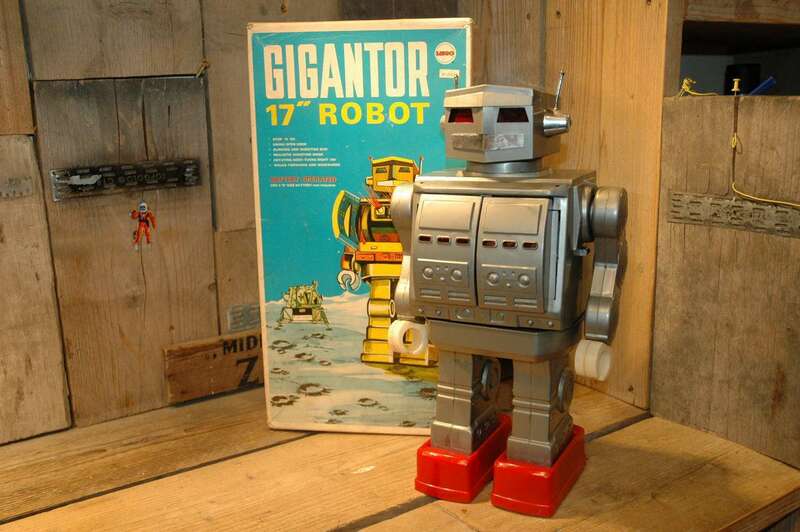 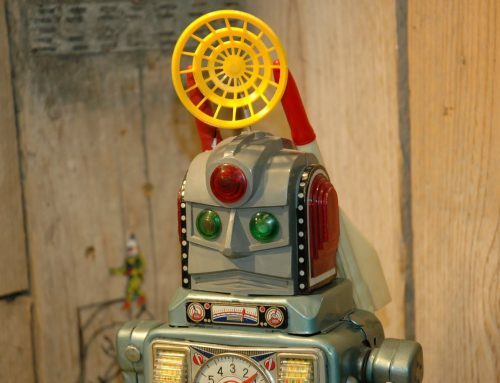 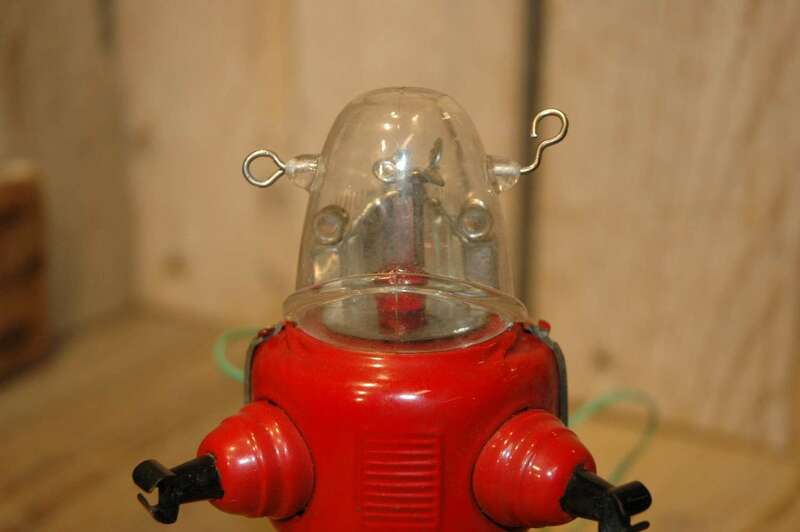 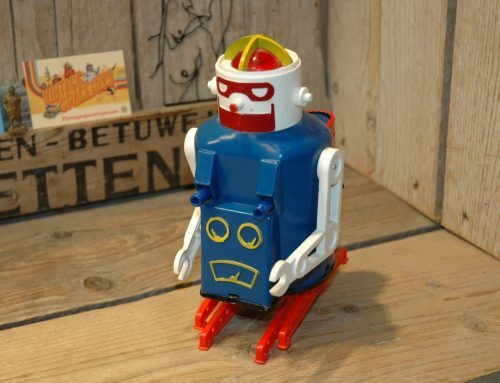 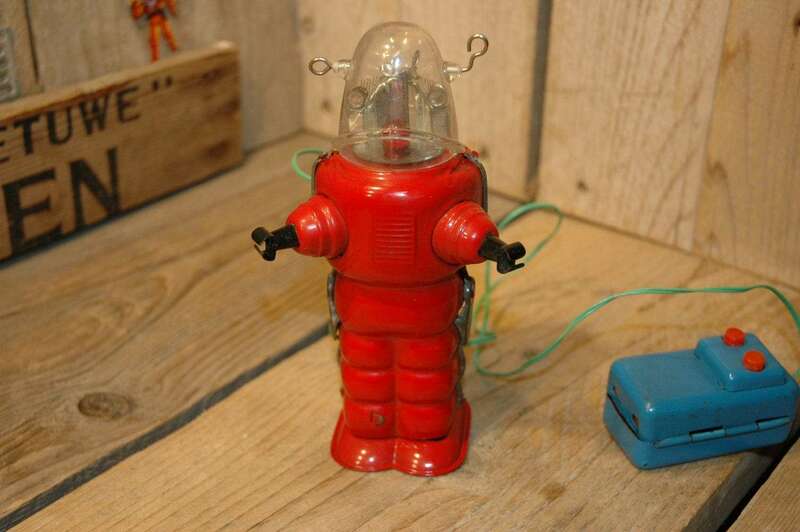 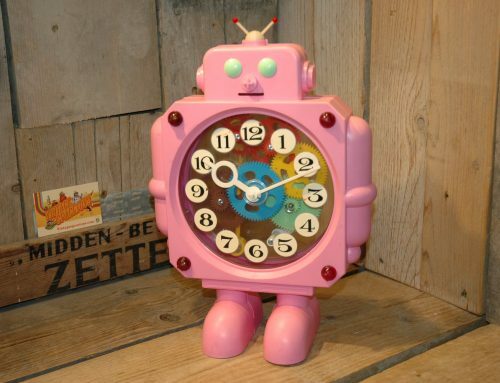 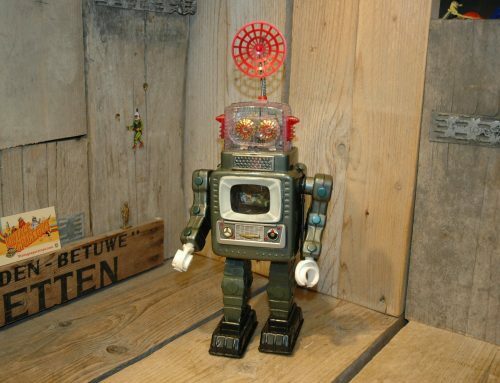 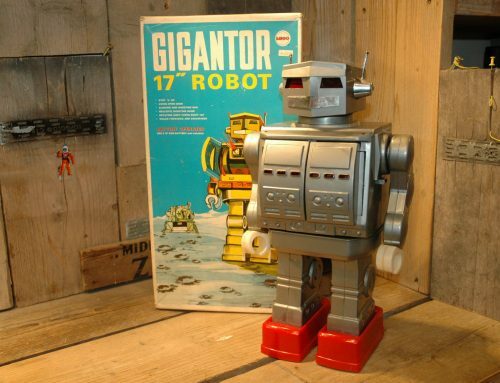 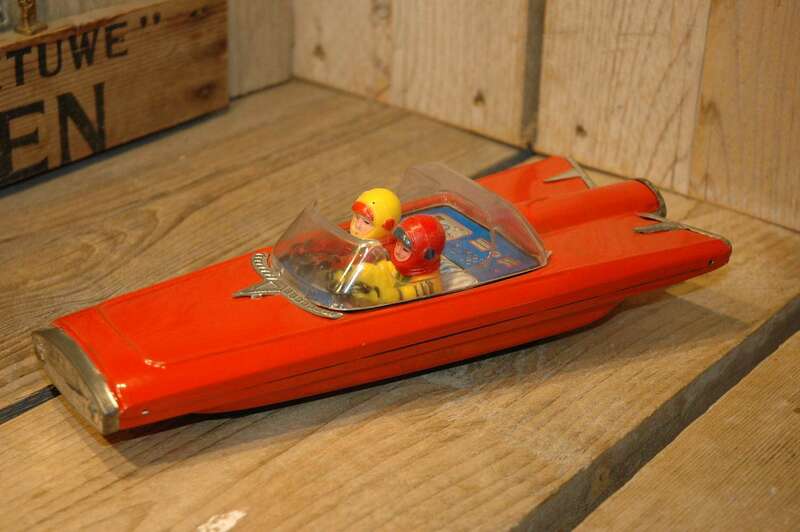 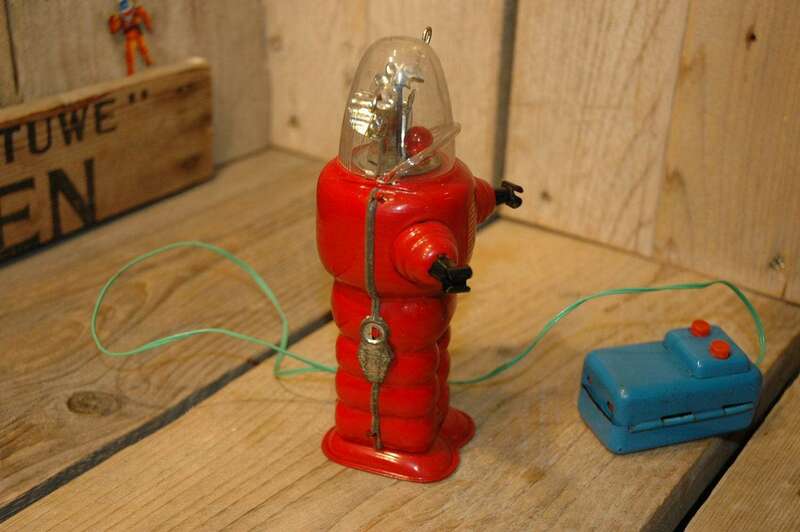 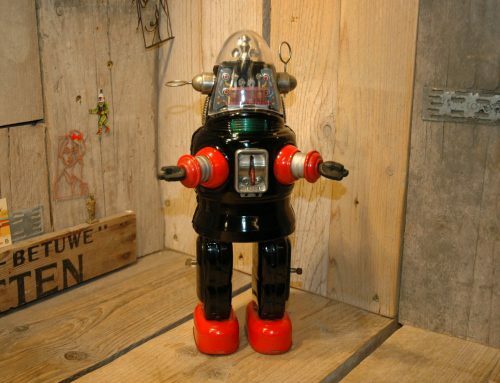 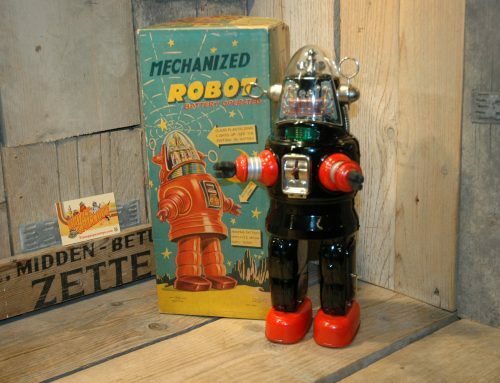 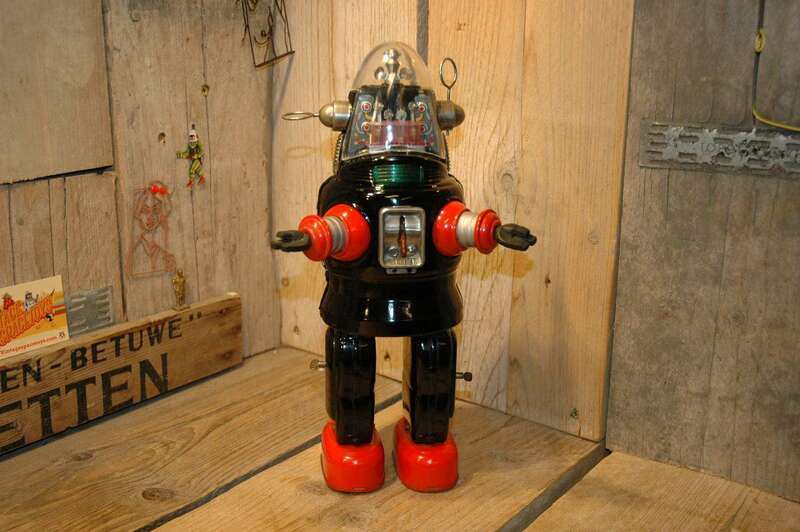 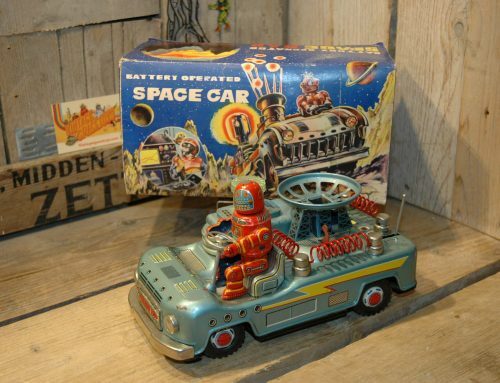 Of course this little red robot is based on Robby The Robot as many other robots that were made in the early sixties. 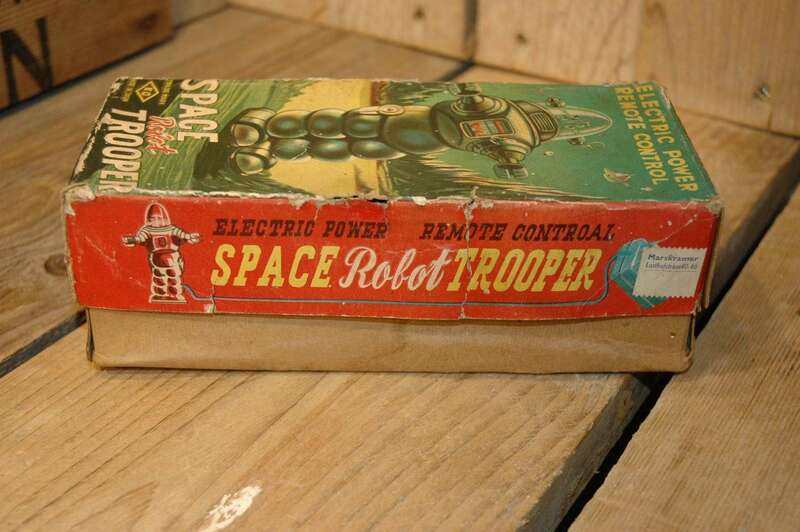 Ok, back to the robot now. 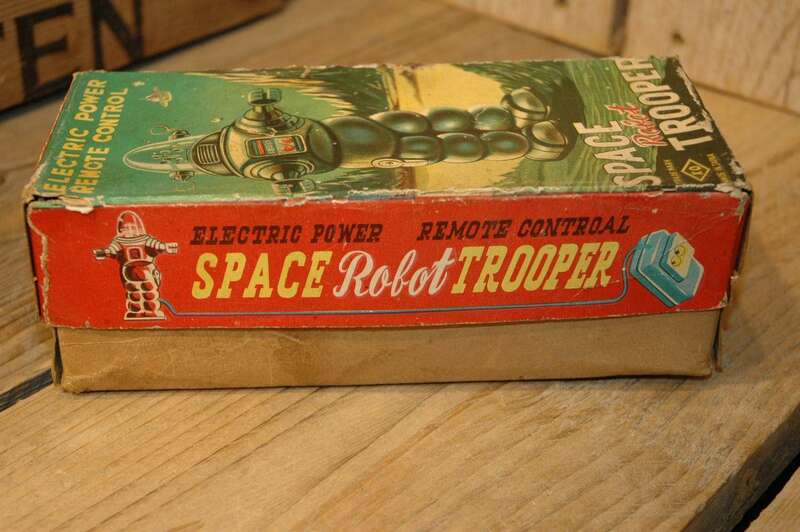 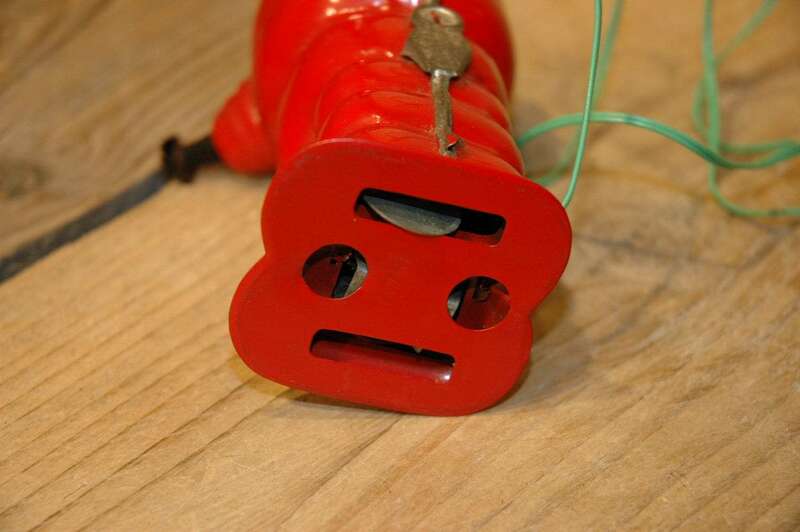 The robot is in near mint condition. 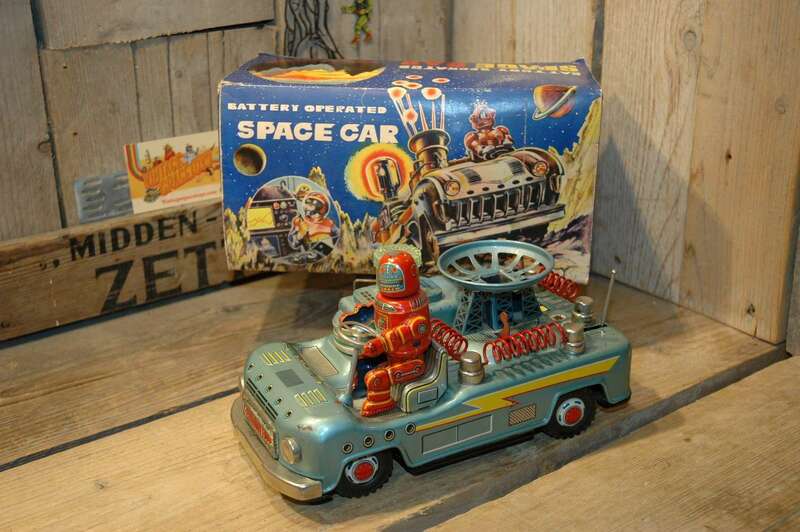 I did not had many of these in my collection but this one is really a beauty ! 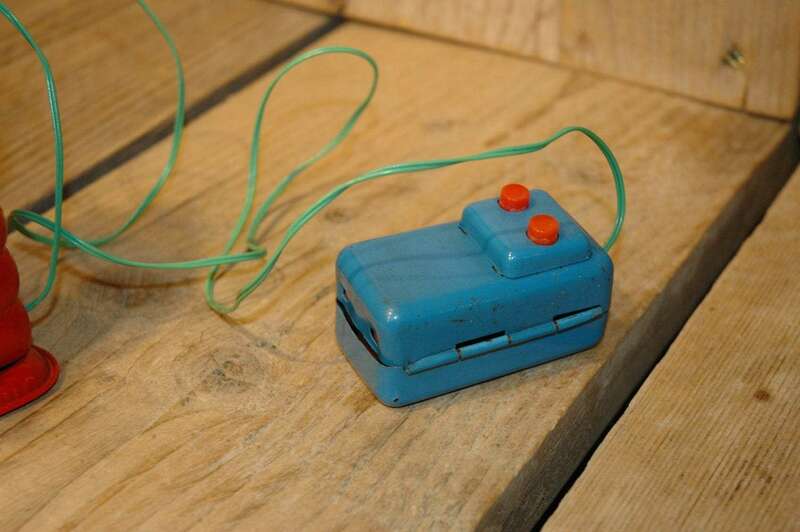 Looks hardly been played with. 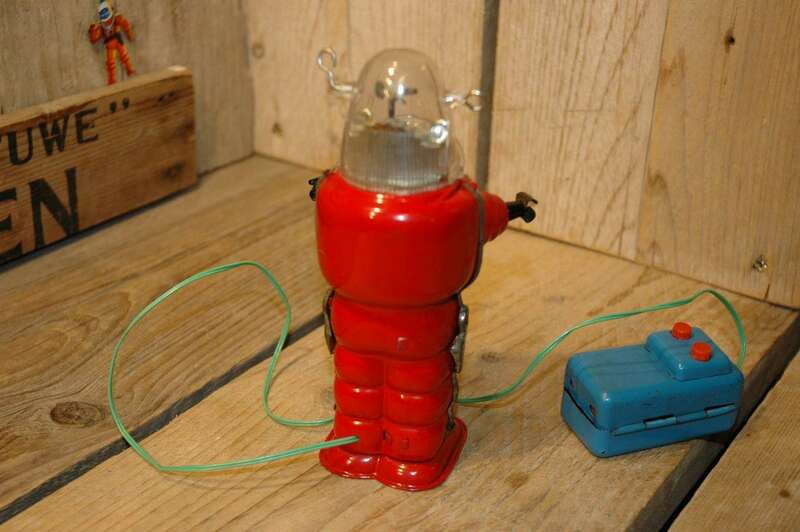 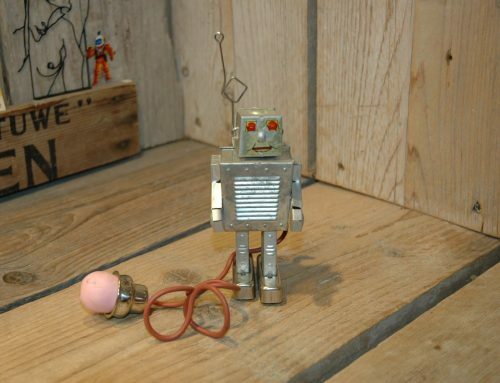 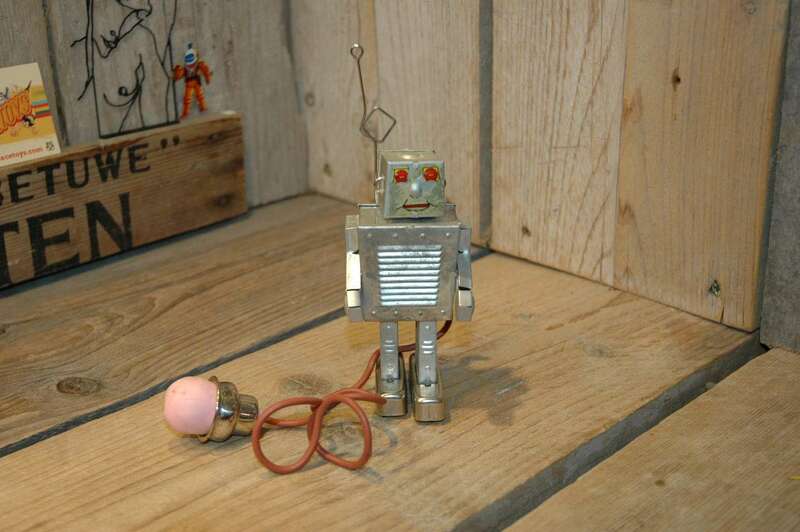 The robot is all original and complete and has the original wire and remote. 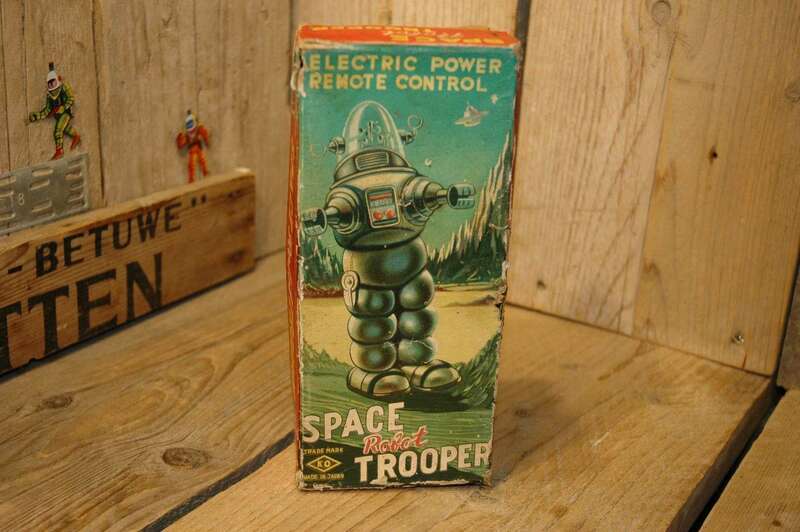 The remote is somehow special and only made for this robot as it houses only ONE D-Cell battery. 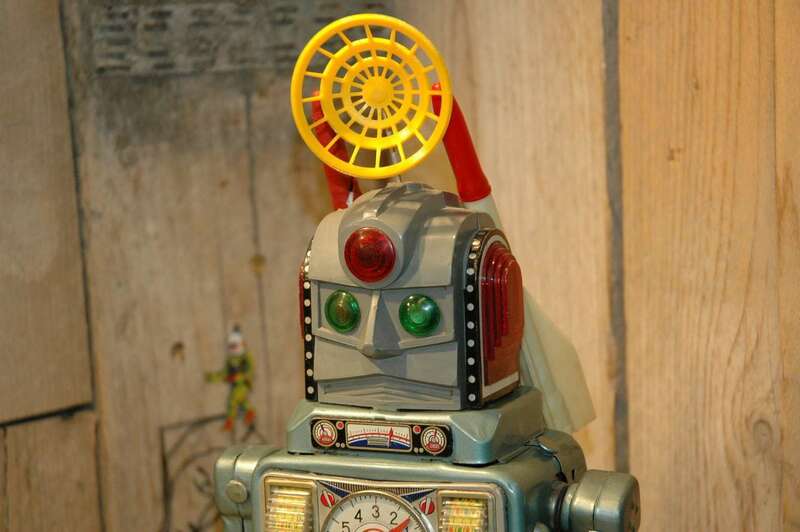 The dome is perfect and so is the rest of the robot and its still works with all the actions and gizmo`s inside the clear dome. 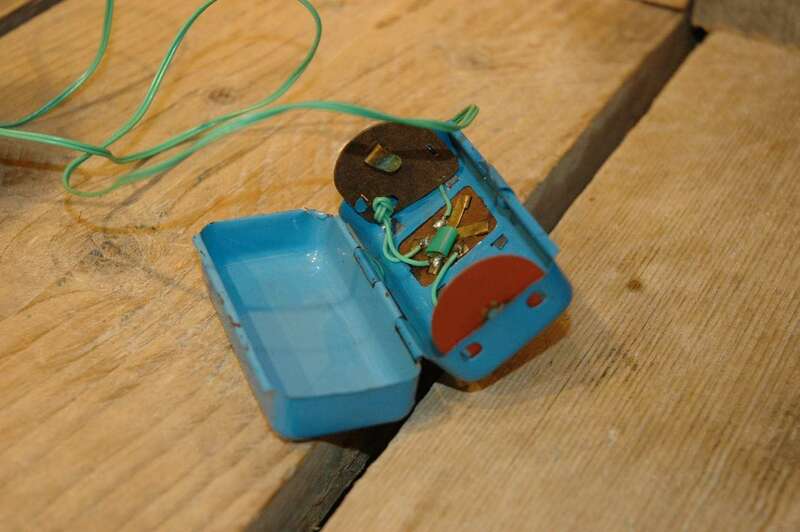 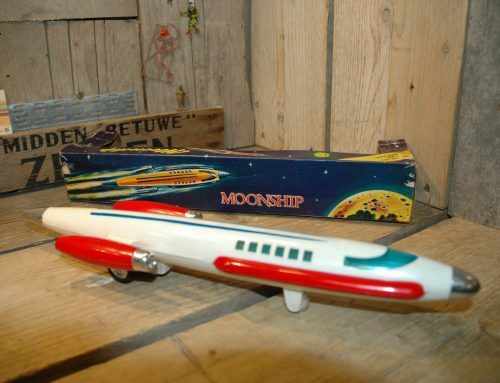 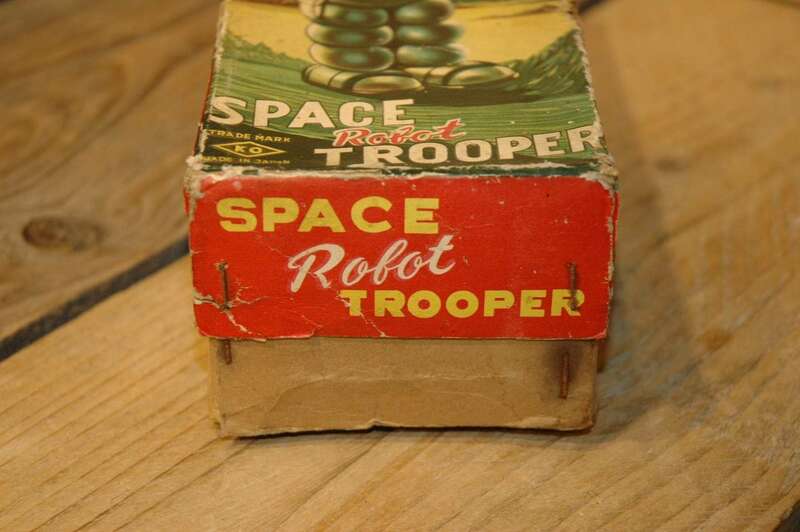 Where the robot shows up from time to time, its seldom seen in this condition WITH original box. 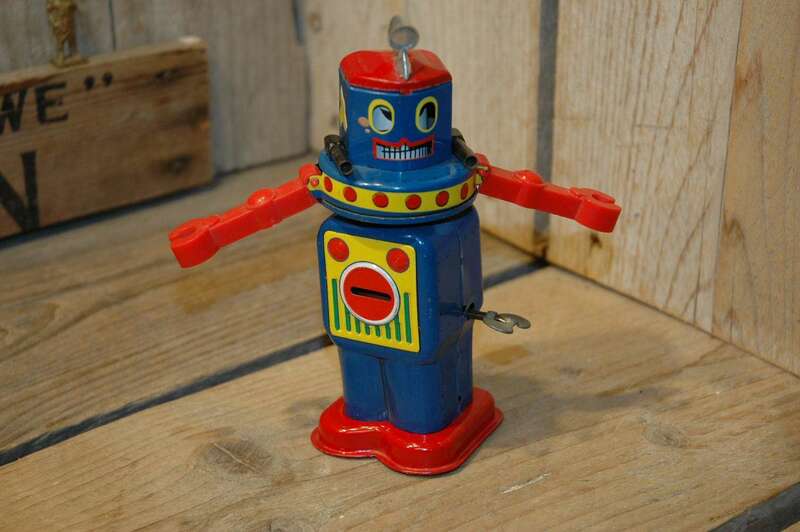 A rare robot, hard to find in any condition. 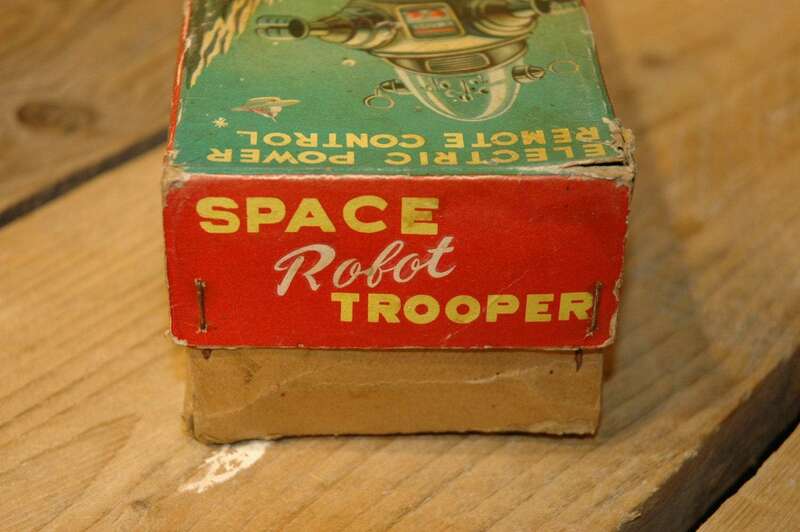 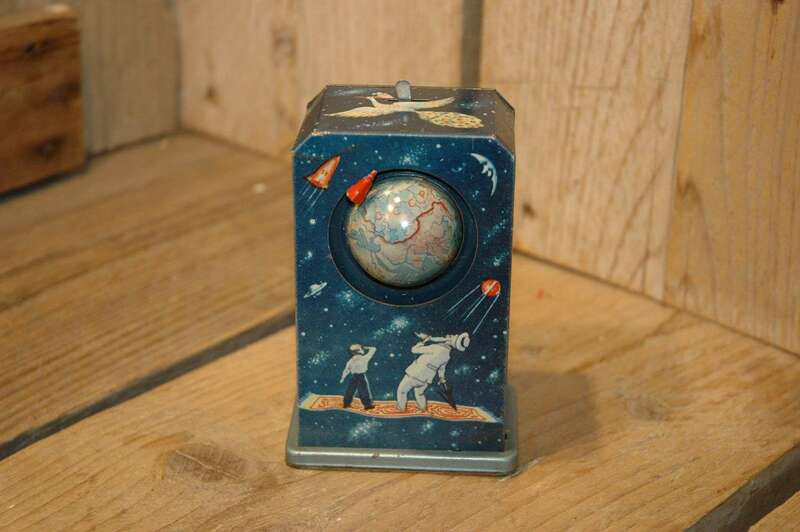 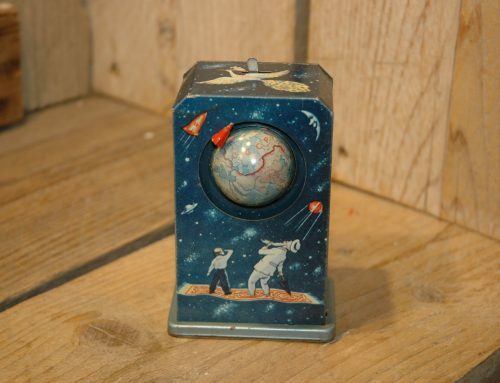 Scarce combination with the original box.